The finest and rarest diamonds are reserved for the annual Argyle Pink Diamonds Tender, which is widely referred to as the most exclusive diamond sale in the world and the 2017 Tender did not disappoint. Known as Custodians of Rare Beauty, the 2017 collection of 58 pink, red and blue diamonds was highly sought after with the winners comprising collectors, conoisseurs and luxury jewellers from 11 countries spread across Asia, Europe, Middle East, North America and Oceania. We are thrilled to have secured lot 46, a heart shape 1.46ct. fancy intense, purplish pink diamond. 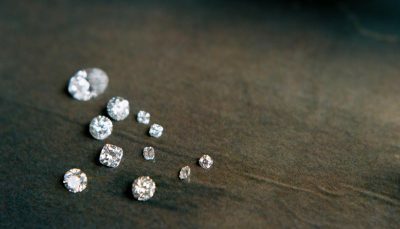 This tender delivered a record result, reflecting strong global demand for these increasingly rare diamonds. With some thirty Select Atelier jewellers worldwide, we are proud to be recognised among this exclusive group of trusted jewellers, as specialists in Argyle pink diamonds.